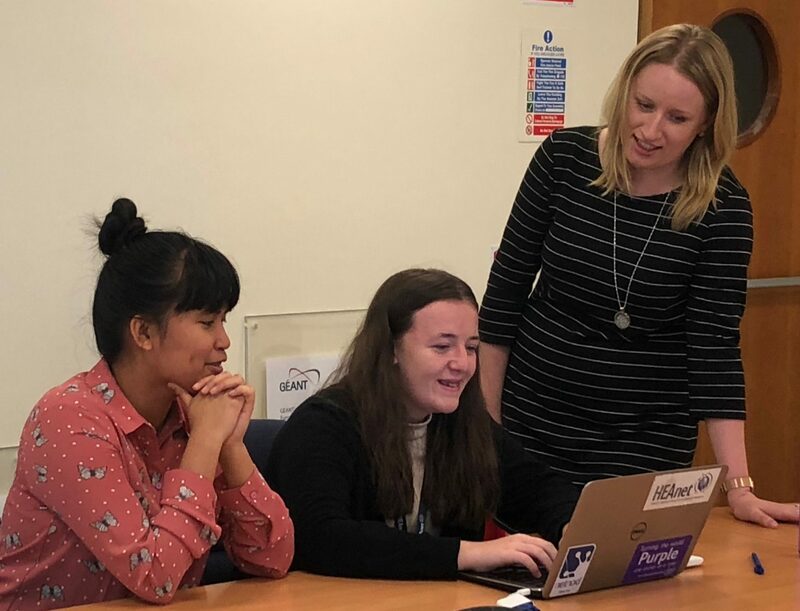 teen-turn is a great way for companies to change how girls identify with careers in technology through two-week summer work placements. 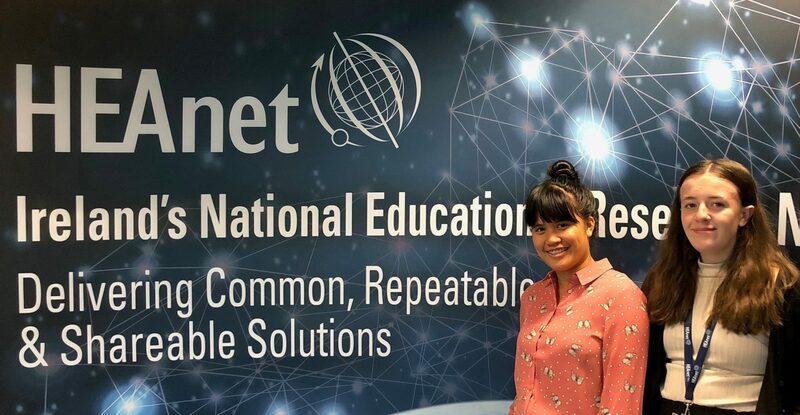 Kaye Marie Rabadon, Mount Carmel Secondary School and Ceili Hand, Warrenmount Secondary School, pictured here with Louise O’Sullivan, HEAnet’s Security & Risk Adviser during their two-week placement with us. 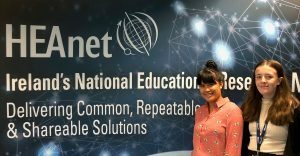 By focusing on girls, teen-turn aims to influence course decision-making processes, inform participants on education and career options, and combat stereotypes by strategically changing how girls identify with technology career environments through summer work placement.